The Guidelines for the graduate program in History are intended to be a reference for all policies and procedures relevant to the Ph.D. programs in History and History of Science. All students are also responsible for adhering to university policies as described in Rights, Rules, Responsibilities and all Graduate School Policies. The History Ph.D. program at Princeton University provides students with a common grounding in the advanced study of history; at the same time it affords each student an opportunity to work out a program of study suited to his or her own interests. The normal duration of the program, and the maximum period of regular enrollment, is five years. During the first two years, the student participates in courses, writes two research papers, completes language requirements, defines a major and two minor fields of study, takes the general examination, and defines a dissertation topic. In the third, fourth, and fifth years, the student researches and writes the dissertation. Either the pre- or the post-generals phases of the program may be shortened, however, depending on the student's previous preparation and the requirements of the dissertation. It is understood that not all students will finish their dissertations by the end of the fifth year. Although formal enrollment ceases at that time, sixth year students are eligible for DCE (Degree Completion Enrollment) status. (Please note: the maximum of five years of graduate enrollment includes time spent in absentia on outside fellowships). The Director of Graduate Studies serves as the Department's general adviser on academic questions. He or she maintains the liaison between students and faculty as well as between the students and the Graduate School Office in Clio Hall. The Director of Graduate Studies (DGS) is responsible for approving programs of study and choices of fields and for interpreting Departmental and University regulations. The DGS has the authority to make exceptions to the various procedures that will be described in this booklet, and is, therefore, the first person with whom a graduate student should consult to explore any special arrangements. The Financial Officer is the professor in charge of financial aid and placement, and he or she handles questions pertaining to departmental research, language study, and conference funding, and assists students in finding suitable positions upon their completion of graduate study. By the fall term of the second year, each student selects a prospective area for a dissertation and requests an appropriate faculty member as his or her dissertation supervisor. The student thereafter consults with this faculty member about choice of courses, seminars, and fields of study and, above all, about preparations for defining a dissertation topic. If this faculty member is absent on leave, the student may need to ask another member of the faculty to oversee his or her work temporarily. First-year students are expected to enroll in three courses each semester (including HIS 500 in the fall). First-year students are normally not permitted to enroll in courses off-campus through the IUDC or Ivy+ consortium agreements. Permission to participate in any Exchange or Consortium program is at the discretion of the Director of Graduate Studies and the Graduate School Office of Academic Affairs. Second-year students ordinarily enroll in two courses the first semester and one course the second semester. Alternatively, second-year students may enroll in three courses in the first semester and devote the second semester entirely to preparing for the general examination. Second-year students are permitted to take a maximum of two courses off-campus through Exchange or Consortium agreements. Successful completion of nine graded graduate seminars is required before a student may take the general examination. Courses include: graduate seminars offered by the History Department; graduate seminars in other departments; student-initiated Reading Courses; and graduate seminars offered at other institutions as approved by the Graduate School. Although much of each student's program will be aimed at preparing for the general examination, students are strongly advised to take some courses in the first two years that do not fall within their general examination fields. For most students, the first two years of graduate school will provide the last opportunity to receive systematic instruction in subjects outside their specialized interests. This seminar serves as an introduction to some of the main traditions of historical inquiry and to some of the major problems confronting contemporary historians in all fields. First-year graduate students are required to enroll. The principal task of a student in such a seminar is the writing of a research paper based on primary materials. The instructor assists by providing guidance on research methods and the appropriate bibliographic tools. The selection of the paper topic requires special care to ensure that the paper can be completed in the semester in which it is assigned. The student should not attempt to produce a publishable paper in a research seminar; on the other hand, some research papers do prove publishable after further research and revision. Research seminars are generally specialized in their subject, and therefore require a working knowledge of the field. When the materials are not in English, it is assumed that the student can use the appropriate language in research. These courses introduce a student to the major historical problems of a relatively broad field -- the principal literature, the major interpretations, the relevant bibliographies, and the crucial issues that historians are currently examining. Reading courses require written work in some form -- for example, a series of short reports, a bibliographic essay examining the available literature on a topic, interpretive essays, or critical reviews of major books. With the approval of the instructor, however, a student may produce a research paper that evolves out of the work of the course. These seminars combine features of the reading and research seminars. They begin with several weeks of general background reading before proceeding to the preparation of a substantial research paper. In many cases, faculty offer writing options -- for example, a bibliographic essay -- for the student who wishes to take such seminars without writing a long research paper. There must be three or more students enrolled, except where otherwise authorized by the Director of Graduate Studies. There will be regularly scheduled meetings, either weekly or every other week. A grade and written evaluation of each student will be submitted by the faculty member supervising the course. Every effort should be made to initiate these courses before the term in which they are to be given. See the Graduate Program Administrator for assistance with completing the required paperwork. The Proposed Reading Course form is available via the graduate History website under Archimedes. Student-Initiated Reading Courses must be graded (A-F) and taken for credit. There should be a writing component, which can take one of several forms: regular end-of-term research paper, ongoing response papers, annotated bibliographies, or short essays throughout the term. Students are not allowed to audit this type of course. Anyone who wishes to explore the possibility of such a course should first find out whether at least two other students share a similar interest in a topic and should then determine the overall size of the group that might wish to take part; at the earliest possible moment, the student should also discuss the matter with the member of the faculty who is to be asked to supervise the course. But students should also understand that a particular professor may not be able to sponsor such a course--either because of previous commitments or because it does not fall within his or her interests. Students who wish to work out arrangements with particular faculty members involving individual tutorial work or "supervised general reading" may do so if other alternatives are not available, but only with the approval of the Director of Graduate Studies. Circumstances that justify such arrangements include not being able to work out one of the specially arranged reading courses described above, or the need to pursue a certain topic in preparation for the general examination. The faculty member concerned will advise the student on matters of bibliography and will meet informally with the student during the semester. Some written work will normally be required. This option is not available to students in their first term. Supervised general reading does not count as one of the nine required graded graduate seminars. Graduate students may enroll in undergraduate lecture courses in history or in other fields as part of their regular program of study. In such cases, students will be expected to pursue a program of additional readings to supplement the undergraduate materials. This may be done on an individual basis or, if several students are interested, through a graduate precept. The consent of the instructor and the Director of Graduate Studies must be obtained and the required paperwork must be completed (i.e. the same “Proposed Reading Course” form used for student-initiated reading courses). See the Graduate Program Administrator for assistance. Enrollment in an undergraduate course may be advisable in the following situations: to prepare for a research seminar in an advanced field where the student may have insufficient general preparation, or to review a field prior to taking the general examination. Students are encouraged to elect a course in another department as part of their regular program, provided that it is pertinent to their fields of specialization. It is usually necessary for the student to secure the permission of the instructor and the approval of the graduate representative in the other department. Students ought to be aware that courses in ancient history are offered by the Department of Classics. Courses in Near Eastern and East Asian History are offered by the departments of Near Eastern Studies and East Asian Studies. The Graduate School has made arrangements with a number of other institutions to allow for cross-registration. Students who wish to take a course at another institution through one of these programs must fill out the appropriate paperwork and adhere to the relevant deadlines. Students must obtain the permission of the DGS to enroll in a course outside of Princeton and the course must be taken for a grade. Since training in research is one of the most significant elements of graduate education, the Department expects each student to write at least two research papers during the two years he or she is involved in course work. Students ought to keep in mind the possibility of using their research papers to investigate areas for dissertation topics. It is highly desirable to do some early research in the language(s) of the prospective dissertation. Each of the two research papers must be certified as an acceptable research paper by the respective instructor. Collaborative work is not acceptable towards certification of a research paper. One of the two research papers must be written in the course of the first year. Students may write the paper in the context of a research seminar or in consultation with faculty independent of a formal course, and they may do so in either semester. If the paper is written in the context of a research seminar, a draft must be submitted to the instructor by the course deadline (Dean’s Date) for a grade. Revisions will likely be required to raise the paper to the standard for certification. If the paper is written for a course in another department it may qualify as a certified research paper provided that 1) it is a piece of historical research and 2) the certification form is signed by a faculty member of the History Department. The research paper should be completed within the semester in which it is initiated. In all cases an acceptable paper must be submitted to the instructor and certified by June 15 of the first year, at the latest, or the student will not be reenrolled for the second year. The second research paper must be submitted to the instructor and certified as acceptable by April 1 of the second year before the student can take the general examination. Students who hold an M.A. degree upon entering the program may request that the M.A. thesis or a research paper completed in pursuance of the M.A. be accepted as one of the two required research papers. To qualify, such a paper must be accepted by an appropriate faculty member in the department, subject to the approval of the Director of Graduate Studies. The faculty member may require that the paper be rewritten to meet his or her standards. Since students are asked to write different kinds of papers -- which are variously described as bibliographic essays, brief reports, book reviews, and so forth -- it might be helpful to point out that the research paper is a distinct enterprise only in its emphasis on original work and the use of primary sources. The research papers demonstrate a student's capacity for the kind of work that will be essential to the dissertation. But that task can be accomplished in no more space than is needed for some bibliographic essays. Although the nature of the evidence, the approach, and the subject determine length, it should be emphasized that the research paper, as a genre, most closely resembles the journal article. Most scholarly journals have a limit of approximately twenty-five pages for submissions. AMERICAN HISTORY - proficiency in Spanish, French, or German. A high level of proficiency is required. BRITISH HISTORY - proficiency in either French or German. A high level of proficiency is required. EAST ASIAN HISTORY - proficiency in one East Asian language and one European language. EUROPEAN HISTORY - proficiency in two languages other than English, one of which is either French or German. Students in medieval history are normally expected to be proficient in Latin, French, and German. Students in Byzantine history should be proficient in ancient/medieval Greek, French and German, and preferably Latin or one other ancient language. LATIN AMERICAN HISTORY - proficiency in two of the following: Spanish, Portuguese, French, or an indigenous language subject to faculty approval. MIDDLE EASTERN HISTORY – proficiency in one Middle Eastern language and one European language. RUSSIAN HISTORY - proficiency in Russian and either French or German. SOUTH ASIAN HISTORY - proficiency in one South Asian language and one European language. The faculty of the History Department set most of the language examinations. Examinations in some languages, however, may be administered by appropriate language departments at Princeton or another institution when an examiner is not available within the History Department. For most languages, the examination consists of two passages to be translated, one with and one without a dictionary. For some languages, including Russian, Arabic, and East Asian languages, the examination consists of only one passage to be translated with a dictionary. While online language dictionaries may be used for the dictionary section of the exam, online translation services are strictly prohibited. Successful completion of a language training program does not exempt students from taking the departmental language examination. Only native speakers of a language other than English may appeal to the Director of Graduate Studies for an exemption from taking the departmental language examination. Language examinations that have been passed will be recorded on the student’s academic transcript. Language examinations will be announced at the beginning of each semester. Entering students should arrange one language examination early in their first term. The Department expects students to pass at least one language examination before enrolling for the second year. No student may complete the general examination or enroll for a fifth term without passing all language requirements. In fields that demand more than two languages, all but one of them must be passed prior to enrolling for a third term. Second-year students who fail the language exam at the regularly scheduled time may petition the Director of Graduate Studies and receive a second chance to take the exam in the same term, in order to fulfill the language obligation at a time which interferes less with general examination preparation. All coursework for the fall term must be submitted to professors by fall Dean’s Date. If the fall term course work is not submitted, the student’s reenrollment is deferred. Second-year students with incomplete work from the fall term may not take the general examination in May of the second year. All coursework for the spring term must be submitted to professors by spring Dean’s Date. The only exception applies to second-year students taking the general examination in May. For these second-year students, an extension of three weeks is granted for the submission of spring term coursework. Students are expected to complete coursework in the semester in which it is assigned. In rare cases, an extension on the deadline for coursework can be granted at the discretion of the course instructor to accommodate extenuating circumstances due to a student’s personal or academic situation. If an extension is granted, a firm extended deadline must be agreed upon by the faculty member and the student and the new deadline must be communicated to the Graduate History Office. A grade of “Incomplete” (INC) is given only in exceptional circumstances when there are compelling reasons, discussed in advance between the faculty member and the student, either for the student’s not turning in the work by the end of the academic term or for the faculty member’s not grading the work by the end of the academic term. If a student has not turned in the final paper or work for a course within one year after the beginning of the course, the grade in that course will be recorded as a permanent “F” on the academic transcript. Students with Incompletes (INCs) on their records are ineligible for departmental research or language funding awards. Students are expected to pass a written and oral examination in each of three fields before the end of their fourth semester of graduate study. The examinations in the three fields constitute the general examination. The general examination tests the student's acquaintance with the events and historiography of a given period or topic; the student's grasp of the issues involved in the study of these periods or topics; and the student's ability to follow, construct, and criticize historical interpretations of these issues. In American History, the major field should consist of the period covered by any two of the basic reading seminars, History 587, 588, 589, 590 or their chronological equivalent; for example, the United States from the Early Republic to World War I, or from Reconstruction to the present, from 1830 to 1945, and so on. Students concentrating in Colonial and Revolutionary America, however, may confine their major field to a period of approximately two centuries, e.g., 1607-1815 or 1688-1865. In other areas, the broader chronological and geographical sweep of the subjects makes a similar correlation between field definitions and existing courses impossible. In those areas, students should plan major fields either in the history of several countries for approximately a century, or in the history of a single country for a longer period. Examples of such major fields are: Europe since 1870; Europe in the 19th Century; Tudor-Stuart England; the Ancient Regime and the Revolution in France; Italy in the Renaissance, 1300-1550; France and England in the High Middle Ages; etc. In all areas the precise focus and emphasis of the major field will be determined by prior consultation between the student and his or her examiners; in each case, the specific content of the student's previous program of study and his or her special interests within the field will help to determine the nature of the examination and the weight given to specific aspects of the field. If a student wishes to offer a chronological minor field in American History, its scope should be equivalent to the period covered by one of the basic reading seminars listed above; for example, the United States from the Early Republic through the Civil War, or from 1815 to 1890, and so on. It is also possible to offer a thematic minor field in American history; for example, American social history, American legal history, the diplomatic history of the United States. Again, in other areas, it is more difficult to lay out prescriptive guidelines for minor fields. Possible minor fields in European history include the following: Renaissance and Reformation; 16th-century Europe; England, 1558-1760; Western Europe, 1815-1918; European cultural history, 1815-1914; Modern Britain. In selecting minor fields, students are urged to consider the increasing importance of non-Western history and of studies outside the discipline of history. Not only is there much interesting work being done in these areas, but also many colleges and universities are looking increasingly for beginning teachers who can function effectively in fields outside of Western history. The Department encourages students to consider choosing a minor field in another discipline, for example, classics (especially ancient history), demography, economics, sociology, literature, the history of art, or areas in regional studies. A student who desires to offer a minor field in another department will need to consult appropriate faculty members and the graduate representative in that department in addition to the Director of Graduate Studies in order to secure approval for the proposed field. Students may not take both minor fields in the history of the same country or region as their major field; that is, a student whose major field and one minor field are in the U.S., and/or pre-1776 North American history must choose the other minor field in an area unrelated to U.S. history; a student whose major field is the Old Regime in France and one minor field France from 1789 to 1848 must choose the other minor field in an area unrelated to French history; and so on. In some cases, a minor field in a markedly different time period may be substituted for a different country or area: e.g., a student taking a major field in Europe since 1870 and a minor field on France from the Treaty of Versailles to World War I might offer a second minor in some aspect of medieval French history. The Director of Graduate Studies must approve all such combinations of major and minor fields. Students specify all their fields on a form provided for this purpose at the beginning of their second year of study; this proposal, and any subsequent alteration of it, must be approved by the Director of Graduate Studies. Students prepare for general examination fields by taking courses and by further reading on their own. In all areas, students should normally plan to have at least two courses containing substantial general readings as a basis for a major field, and at least one for a minor. All students majoring in American history are required to take two of the basic reading courses (587 through 590). These two courses should match the chronology of the major field as closely as possible. In other areas, students should consult with the faculty teaching in their specific fields of interest in order to arrive at a combination of courses that will provide a solid substructure for their preparation. Although reading and "reading and research" courses will often be the most helpful for preparing fields, research seminars may also constitute extremely useful preparation. If for any reason the Department is unable to provide basic courses suitable for preparing students in an approved field, the Director of Graduate Studies will assist the student in finding satisfactory alternate means of field preparation. If necessary, the Director may grant exemptions from the normal course requirements or from the requirement that specially arranged reading courses contain a minimum number of students. To be eligible to complete the general examination, a student must have fulfilled the appropriate language requirements, have completed two certified research papers, and have completed all of the work in the courses in which he or she has enrolled in the first three semesters. No student with an ‘Incomplete’ from the first three semesters will be permitted to complete the general examination until the outstanding course work has been finished. Students are encouraged to take their examinations on all three fields at one time, but they may divide the examination by offering the major field at one sitting and the two minors at another. However, the department does not examine students on a single minor field by itself. Students must notify the Director of Graduate Studies of their intentions well in advance of the test period. If, due to extenuating circumstances, a student wishes to delay all three field examinations to an exam period other than May of the second year, he or she may appeal to the Director of Graduate Studies for approval of an alternative timeline. Normally, the Graduate School does not allow examiners outside of Princeton University to be part of General Examination committees. No general examination committee may have fewer than three faculty examiners. An examiner may offer two fields for a student but at least one of those must be jointly offered with another examiner to ensure that there are at least three faculty members on the committee. The written portion of the exam is generally distributed to students at 9:00 am on the first Monday of spring reading period. Students are to return their answers to the graduate office by 3:00 p.m. on the Friday of the same week. Late examinations will not be accepted. Written exams will be distributed to faculty Friday afternoon for review in advance of the oral examination. The word count for the entire exam may not exceed 4,000 words for each field (i.e., 12,000 words in total) regardless of the total number of questions to be answered. All content for the written examination must be created within the exam week. No portion of the written answers should be copied from notes or practice exams, and students should not have anyone else review their work nor should students discuss their exams with other students until after all oral exams have concluded. Students are responsible for adhering to all University policies on academic integrity. The oral portion of the exam is typically two hours long, with one full hour devoted to the major field and a half hour for each of the minor fields. Students may bring clean copies of their written essays and reading lists into the examination room, along with a blank notepad and pen or pencil. Students may request a brief pause between fields during the oral exam. Immediately following the oral exam, the student's overall performance will be evaluated and recorded as pass, fail, or pass with distinction. The student must pass each of the three field examinations; marginal performance in one field may be compensated for by a strong performance in another field. Failure in any one field cannot, however, be compensated for by work in another field, no matter how distinguished. Inadequacy on a written examination in a field can be compensated for by excellence in the oral examination, and vice versa. The examining committee will record brief comments on the General Examination Report Form which is to be submitted to the Graduate History Office within 24 hours of the exam. The student will receive a copy of the form and the comments. Results will be reported to the Graduate School within ten days of the oral exam. A student who completes all departmental requirements (coursework, language exams, and research papers, with no incompletes from the first year and first semester of the second year) but fails one or two of the general examination fields may take the exam a second time. A student who fails one or two of the examination fields needs to retake only the field(s) in which he or she failed. If the student fails the general examination a second time, then Ph.D. candidacy is automatically terminated. The student must resolve any incompletes from the final semester’s coursework before the terminal M.A. degree may be awarded. If a student fails all three general examination fields, the Director of Graduate Studies will consult with the examining committee to determine whether the student should be reenrolled and given the opportunity to retake the exam or should be awarded the terminal M.A. degree and have his or her enrollment terminated. If the student is reenrolled and given an opportunity to retake the exam but fails the general examination a second time, then Ph.D. candidacy is automatically terminated. In either case, student must have completed all departmental requirements (coursework, language exams, and research papers, any incompletes resolved) before the terminal M.A. degree may be awarded. Any student who will retake the general examination should expect to retake the exam during the next exam period. Only in exceptional circumstances will the DGS approve for a student to delay the retaking of the examination to a later exam period. In no case may the student delay the retake of the examination for more than one year. It is important to be aware that successful completion of the General Examination is a pre-requisite for progression to the PhD but that advancement is not automatic. Advancement to candidacy for all students is decided by a vote of departmental faculty at a full faculty meeting, which is informed by a recommendation from the Director of Graduate Studies. This recommendation is based on a student’s General Examination performance and the faculty’s assessment of their entire academic record since beginning the graduate program in History. Refer to the Enrollment section of the Guidelines for detailed enrollment policies. The Master of Arts degree is normally an incidental degree on the way to full Ph.D. candidacy, but may also be awarded to students who for various reasons leave the Ph.D. program. Students who have satisfactorily passed required coursework (with all incompletes resolved), fulfilled language requirements in their field of study, and completed the two required research papers may be awarded an M.A. degree. Students must complete the required “Advanced Degree Application” via TigerHub upon learning the Department’s determination of their candidacy in order to receive the master’s degree. The beginning of the dissertation project is the dissertation prospectus. Students will normally enroll in the department's mandatory Dissertation Prospectus/Responsible Conduct in Research Seminar between their second and third year of enrollment. To be eligible, students must have passed their general examinations and have done so no later than their fourth semester of enrollment, or have special permission from the Director of Graduate Studies to participate. Passing the prospectus seminar is a required part of degree work in the department. Students are expected to participate actively in the seminar and devote their time and effort to completing a fully shaped prospectus before the summer is over. The dissertation prospectus must be formally approved by the student's dissertation adviser and a prospective first reader before December 1 of the student's third year. Continuation as an enrolled student will be contingent upon approval of the prospectus. While the dissertation is the principal business of the third, fourth and fifth years of graduate study, the student is well advised to begin thinking about a topic in his or her first year at Princeton. The summer between the first and second years can be used to good advantage for preliminary research, including exploration of archival resources in the United States and abroad. Such early investigations will help in the preparation of a prospectus and will be of special benefit to students who hope to compete for fellowships for research abroad in the third year (deadlines for these competitions will fall early in the first semester of the second year). Before the general examination students should have settled on a dissertation topic, chosen a dissertation supervisor, and should be moving forward toward their dissertation projects. To facilitate definition of a dissertation topic, the department is prepared to support exploratory pre-dissertation research travel to archives between a student's first and second years. 1. The dissertation should represent an original and significant contribution to knowledge. 2. The dissertation should be based upon primary research. 3. The dissertation should clearly demonstrate the capacity of the student to pursue independent historical research. 4. The dissertation should be written in clear and coherent prose. 5. Decisions concerning the scope of the dissertation and its length should be based primarily upon the nature of the problem and documentation. An acceptable dissertation may take various forms: it may be as short as 75 pages or as long as 300. Only in exceptional circumstances should it exceed 300 pages in length. The department assumes that most students will have completed their research and writing by the end of their fifth year of study; earlier completion is certainly feasible in many cases. The scope and length of the thesis should therefore be such that a finished project can be created in no more than three years of work. 6. Whatever the scope of length of the dissertation, it should be capable of development for publication as an article or series of articles in a scholarly journal, or as a book. 7. Students are reminded that conciseness is a literary virtue; quality does not increase with length. It is obviously in the best interests of a student to select a dissertation topic which falls within the special competence of some member of the Princeton faculty. Otherwise, it is unlikely that either the student or the project will receive adequate care and attention. Occasions may arise, however, when a student is enthusiastically involved in a dissertation topic that is feasible but for which no member of our faculty can provide specialized guidance. In such cases, when the student, the Director of Graduate Studies, and the faculty member whose interest most closely approximates that of the student all agree that the topic is so promising that the disadvantages are offset, the Director of Graduate Studies may seek to establish an informal arrangement with a scholar at another institution to provide advice and guidance for the student's dissertation project. However, the department cannot provide compensation for outside scholars who agree to take care of such tasks, and in every case a Princeton faculty member must serve as the official supervisor. All students who plan to interview people for their dissertation research are encouraged to complete the Human Research Training module provided by the university. Once completed, students will decide in conversation with their advisers whether or not they need to apply for IRB approval for their project. If a student plans to quote their sources, then he or she is advised to obtain signed permission from informants. The department recognizes that effective teaching is a partner to scholarship, and it tries to provide some kind of teaching experience for advanced graduate students who desire it. Prospective employers are attaching increasing importance to teaching experience, and the professional qualifications of a graduate student will be greatly enhanced if he or she has classroom experience. Where possible, fifth-year students in residence, and some third- and fourth-year students, will receive appointments as assistants in instruction (AI's). An AI may teach in one course each term (approximately two to four classroom hours per week). The teaching assignment should not, therefore, unduly interfere with progress toward completion of the dissertation. AI's are paid according to the number of hours they teach each term. AI stipends and tuition rebates nominally exceed the standard level of the University Fellowship. The AI normally conducts precepts (small discussion groups). The Department will hold regular meetings for students who are precepting to provide a general discussion about teaching. Most faculty members in charge of courses will also hold regular meetings with preceptors to discuss issues in their course. The responsibility for AI appointments rests with the Chair of the Department. He or she will solicit applications from advanced graduate students who are interested in teaching in a given semester and will make staffing decisions in consultation with the Director of Graduate Studies and the instructors of the undergraduate courses in question. Advanced graduate students are not guaranteed teaching appointments; decisions about AI's will depend on course enrollments, faculty teaching schedules, and faculty assessments of a graduate student's probable effectiveness in the classroom. When the dissertation is nearing completion, the student must inform the Graduate History Office that he or she would like to prepare for the FPOE at least three months in advance of the anticipated defense date. The Graduate Assistant will advise the student on matters of committee formation, scheduling, and required paperwork. The standard practice of the department is that there should be only one external reader. The department will award an honorarium to only one such reader/examiner and will reimburse only one external reader for the expenses (travel and accommodation) associated with their presence in Princeton for the Final Public Oral Examination. Approval of the dissertation committee, including the external reader, is at the discretion of the Director of Graduate Studies. All committee members are expected to submit a reader report by the deadline announced by the Graduate Assistant. While it is permissible for one committee member to participate remotely (normally the external reader), the dissertation adviser and first reader are expected to be present for the defense. Recording of the Final Public Oral Examination is prohibited. Each graduate student must be formally reenrolled for each succeeding year of graduate study. In general, the entering student may assume that if he or she does satisfactory work in courses and seminars and sustains the general examination, he or she will be readmitted. Administratively, it is the student’s responsibility to complete the reenrollment application online through TigerHub each year in order to be reenrolled and to complete the annual Academic Year Sign-In by the deadline dictated by the Graduate School. The reenrollment application for first-year students receives careful scrutiny. Three times per year, the Director of Graduate Studies circulates a memo to all departmental faculty soliciting feedback on each graduate student's performance. The Director of Graduate Studies reviews each student's performance, evaluates all grades and course comments, and recommends to the department for or against reenrollment. The final decision on reenrollment is not based on any rigid standard for grades, but on the Department's overall evaluation of a student's promise and work. A decision against the reenrollment of a first-year student will be taken only in exceptional cases. When a student has completed the general examination, the Director of Graduate Studies conducts a similar evaluation of his or her record. After reviewing the reports on the general examinations of each student, and, where appropriate, conferring with the examiners and other faculty with whom the student has worked, the Director of Graduate Studies recommends to the department whether or not the student be reenrolled and either that he or she be permitted to continue for the Ph.D. or that a terminal master's degree is awarded. Passing the general examination does not guarantee that a student will be advanced to Ph.D. candidacy if the student’s full academic record does not demonstrate satisfactory competence for advancement. In order for students to be made fully aware of their standing in the Department, the Director of Graduate Studies annually holds a candid discussion with each first and second-year student about his or her status. In particular, each student whose performance falls at or just above the minimum level required for continuation is made fully aware of the situation. Students in the third year and beyond receive comments on their reenrollment application from their academic adviser. In all cases, satisfactory progress towards the dissertation must be demonstrated in order for a student’s reenrollment to be recommended to the Graduate School. The Graduate School offers various enrollment status options for graduate students. Students should refer to the Graduate School’s policies for more information regarding each of these statuses. Students enrolled in years one through five who are on campus on a regular basis and utilizing Princeton’s facilities are in Regular enrollment status. Funding does not affect this enrollment status. A student who is supported on an external fellowship may still be in Regular status if he or she resides locally. Those students whose thesis research or other studies require that they be absent from Princeton for an extended period of time may apply for reenrollment with “In Absentia” status. In absentia status is normally an option only for those students who have completed the general examination, but requests from pre-generals students may be considered in exceptional cases. All appropriate University benefits are continued while a student is in absentia. A year in absentia counts as one of the five years of graduate enrollment, whether or not the student is supported by a University fellowship. Students who wish to apply for in absentia status will indicate their intention to be in absentia during reenrollment and also must request absentia status via TigerHub. A student who wishes to interrupt his or her course of study at Princeton for personal reasons may apply for a leave of absence. Leaves of absence differ from in absentia in two important respects: the student on leave of absence is not enrolled, and the University stipends do not continue during such a leave. Enrolled Ph.D. students who have not completed their degree within the department's normal program period (five years) have the opportunity to be enrolled for up to two additional years in Dissertation Completion Enrollment (DCE) status. Eligible students apply for this status during the annual reenrollment process in the last year of their program of study, and must be approved for DCE status by their department and the Graduate School based on criteria for satisfactory academic progress. Students in DCE status are fully and formally enrolled graduate students, working full-time to complete degree requirements. DCE students may be enrolled as regular (in residence) or in absentia students (pursuing their work away from Princeton). All students who wish to receive stipend support during the DCE-1 period (6th year) must apply to the History Department for this support by the reenrollment application deadline of the fifth year. This includes students who have received external funding at some point during their first five years. When a student applies for DCE-1 stipend funding from the Department, s/he needs to have his or her adviser provide a letter of recommendation attesting to the progress of the dissertation. These letters are reviewed by the Director of Graduate Studies before the DCE stipend funding can be approved. The Graduate Program Administrator will communicate information to fifth year graduate students about the DCE-1 stipend application process early in the spring term. Often, graduate students in DCE-1 status will choose to teach as an Assistant in Instruction (AI). The Department Manager circulates undergraduate course listings for the upcoming academic year to students entering DCE-1 status, so that they can determine the semester that will afford the best teaching opportunities. Teaching assignments are determined by the Department Manager and Chair. Keep in mind that students who are in DCE status may not work more than 50% time. No funding is available from the department or the Graduate School for DCE-2 (7th year) enrollment. Students who wish to remain enrolled in the 7th year should either obtain external funding or prepare to pay the DCE enrollment fee themselves. The only exception to this policy applies to students who are enrolled in the IHUM joint degree program. Since the IHUM program effectively extends the regular program length by one year, 7th year IHUM students remain eligible for DCE funding from the department. Degree Candidacy Continues (ET/DCC) status at the conclusion of the academic year on August 31. All university benefits are discontinued in Enrollment Terminated/Degree Candidacy Continues (ET/DCC) status since enrollment has formally ceased. Graduate students are still able to defend their dissertations in ET/DCC status, however, in order to earn the Ph.D.
Students in ET/DCC status are expected to remain in contact with their dissertation adviser to provide updates on their progress towards completion. If a student does not contact the adviser, DGS, or department for one year or longer, he or she may be removed from ET/DCC status and degree candidacy may be terminated. 1. University fellowships both sponsored and administered by the University from its own resources. University fellowship include both the regular UF stipend and other fellowships awarded by individual departments or programs on campus, including FWWS, PIIRS, and honorifics including Jacobus, Dodd, and Proctor fellowships. 2. Other fellowships sponsored by government or private agencies, but awarded and administered by the Graduate School and the departments. Examples of this type of fellowship are NSF and ACLS fellowships. 3. External fellowships awarded (normally on a competitive basis) by the sponsoring agencies. A student who holds one of these fellowships normally deals directly with the sponsoring agency, and must, therefore, concern him or herself with application and renewal forms, deadline dates, etc. Examples of this type of fellowship are Fulbrights, the Foreign Area Fellowship Program, and Canada Council Awards for Canadian Citizens. The Reenrollment Application that each student completes online via the TigerHub system (annually in early March) serves as an application for the continuation of University fellowship support. In normal circumstances, students who are doing satisfactory work will not suffer any reduction in the level of their fellowship support. Students are also responsible for keeping themselves informed of the deadlines they must meet to renew their fellowships, and should advise the Director of Graduate Studies immediately if they encounter difficulties in this process. A limited number of students may earn money through a federally funded Work-Study Program. Students may work on campus as research assistants to faculty members, and off-campus for non-profit organizations or a local, state, or federal government agency. Information about eligibility and application procedures may be obtained from the Graduate School. Students are strongly encouraged to apply for external fellowships. Notices of such fellowship opportunities are posted on the bulletin board in the graduate student lounge and sent via email by The Graduate School and the Graduate History Office. Deadlines are usually months ahead of the time that a student would actually receive a fellowship. Indeed, most applications must be filed by early November of the preceding year. Students should also consult the annual volume of the American Council on Education, Fellowships in the Arts and Sciences, as well as other reference materials located in the Career Services Office. Students who are awarded external fellowships are required to notify the Graduate Administrator and provide a copy of the fellowship offer letter to be included in their academic file. If a student elects to take an external fellowship in lieu of university funding for either 10- or 12-months then eligibility for DCE-1 funding for the 6th year may be earned. The department adheres to all Graduate School policies regarding eligibility for and administration of DCE-1 funding and students who win an external fellowship are urged to discuss their individual situation with the Graduate Administrator before accepting the fellowship. Graduate students who seek part-time employment while in regular enrollment must request permission from the DGS before accepting any position. The department adheres to the Graduate School’s Employment Policy which dictates that a student may not work more than an average of 10 hours per week. If the employment is on-campus, the student must notify the department’s Business Manager immediately upon accepting the position for instructions for being paid through the Time Collection system. Students should not commence work until they have received information on how they will be paid. International students who have employment authorization are eligible to receive a Social Security Number. Requests for SSN letters should be directed to the Graduate Administrator. The History Department provides funds supplemental to the university fellowship for several purposes: language study, pre-dissertation research, dissertation research, attendance of conferences or relevant short-term academic programs, and travel to attend courses at other institutions if the course will fulfill the coursework requirement for the program. Of these types of funding, the most important by far is research in preparation for the dissertation. The department considers it crucial for students to work from primary sources, not merely as a matter of professional training but also because the writing of first-rate history requires immersion in documents. Therefore, students may expect to receive funds for research in archives and libraries both before they take their general examinations, when they can sound out the possibilities for a thesis topic, and afterward, when their success in quarrying material from sources may shape their entire career. Funds are limited, and there are specific rules governing the awarding and use of them. It is the responsibility of the student to understand and follow the procedures outlined below. Before undertaking a funded research trip, students must consult the department for approval of their plans, and they must submit a detailed budget. After returning, they must submit an accounting report, receipts, and boarding passes for all pre-approved expenses funded by the department. The department will pay for admitted students to enroll in a language course offered at Princeton the summer before starting graduate study. If a student wishes to study a commonly available language, the department will pay the Princeton University cost to study the language on campus plus the cost of summer housing and SHP for that period. The following languages are normally available for summer study at Princeton University: French, Spanish, and German. If a student wishes to pursue language courses at an institution other than Princeton University, he or she may apply to the department for consideration of the language study plans. If approved, the department will reimburse up to the cost of Princeton University language course tuition, summer housing, and SHP. If a language is less accessible, the department will first suggest other institutions in the U.S. but will also consider study abroad on a case-by-case basis. The department will pay for summer language study at Princeton or, with the approval of the Financial Officer and Director of Graduate Studies, for summer study at language institutes or other universities. Students wishing to pursue language study elsewhere should consult with their adviser and the Financial Officer before drawing up plans, and should be prepared to submit a letter outlining their course of study and an itemized budget. Pre-generals students may wish to consider combining language training abroad with pre-dissertation archival research in the summer following the first year of study. 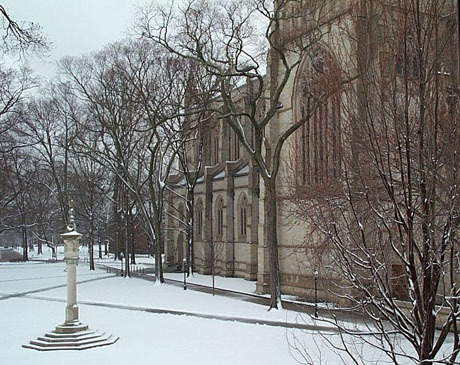 If enrolled students need additional language preparation (beyond one language course) that cannot be provided at Princeton University but is available at a nearby university, the department will consider paying for such preparation at a reasonable level, including reimbursement of travel costs, on a case-by-case basis. The student should consult the Director of Graduate Studies and Financial Officer. The department will fund one pre-dissertation research trip. Most students schedule this trip for the summer following the first year of study, though it is also possible to schedule it in the summer following the second year or during a break in the academic year so as not to conflict with coursework. If necessary, students may make two or more pre-dissertation research trips, but must submit only one request and, therefore, one combined budget for pre-approval of this arrangement. Applications for funding may be submitted to the History Department and to other programs and departments on campus which offer funding support for research travel. More information can be found on the Student Activities Funding Engine (SAFE). Questions should be directed to the center or program to which you are applying. The department will fund one major archival research trip over the course of a student’s graduate career (between years one and five of the student’s regular enrollment period.) Students are expected to apply to internal and external sources of funds relevant to their research; once they have done so the Department will consider individual requests. Please note that the Department cannot cover the travel expenses of family members or of anyone other than the student. The Department is able to support students’ participation in scholarly conferences and other short-term academic or professional programs with pre-approval. For additional information about the specific policy, please visit the “Enrolled Student Resources” section of the graduate history website. Students are also encouraged to apply to the Dean’s Fund for Scholarly Travel, administered by the Graduate School. I. The Department can subsidize train travel for a student to attend classes at nearby universities if the student has received departmental approval for enrolling in the course and authorization for travel reimbursement from the Director of Graduate Studies. II. The Department will pay for microfilming up to a reasonable amount, if the microfilm is not available in the Princeton libraries. III. Graduate students may apply for funding to support student-organized conferences, workshops, and special events. The Center for Collaborative History (CCH) allocates all departmental funding for such activities; the CCH accepts funding requests on a rolling basis. To ensure that students are managing their time effectively, requests to organize an event must first be approved by the student’s adviser and Director of Graduate Studies before the funding request can be submitted. Requests to organize an event will not be approved for pre-generals students except under exceptional circumstances. Graduate students participate in the work of the Graduate Program Committee. These students are elected by the graduate students as a group under arrangements to be determined by themselves. The President of the Graduate History Association will call a meeting early in the fall for this purpose. Students should bring concerns, questions, and ideas for new initiatives to the administration of the GHA. The GHA acts as liaison between students and the department, Graduate School, and University. 3. Letters of recommendation written at the student's request by the student's dissertation supervisor and other faculty members familiar with the student's work. 5. Other supporting materials as requested by the student. It is the student's responsibility to prepare his or her own dossier and to request faculty letters of recommendation, all of which must be prepared very early in the fall. The Placement Officer will advise students on the preparation of their dossiers, and he or she is responsible for helping each student assemble as strong and as complete a dossier as possible. The letters of recommendation in the placement file may be either open or confidential, depending on whether the student formally waives his or her right to access to these materials. Students who waive their right or access to their files should know that the Placement Officer is empowered by the Department to remove material from the dossier which, in his or her judgment, is unfair to the student; and may also ask faculty members to revise their letters of recommendation where that seems appropriate. The student has the right to have his or her course grades excluded from the placement dossier. All academic positions in history are publicly advertised in the AHA Perspectives, the newsletter of the American Historical Association, which is received by the Department. Students seeking employment are responsible for keeping themselves informed of job openings, and for notifying the Graduate Program Assistant and the Placement Officer of those positions to which they wish to apply. Students who wish to consider a career other than teaching, such as government or private industry, are urged to visit the Career Services office at 36 University Place, Suite 200 (above the U-Store). It has a well-stocked reading room and various corporations and agencies have interviews on campus each year. All materials must be submitted at least three (3) weeks prior to the student’s first deadline. The final version of the dossier will be approved by the Placement Officer and submitted by the Graduate Assistant. The Graduate History Office will maintain and forward dossiers for students until they have secured a tenure-track job. The Graduate History Office sends announcements of jobs and fellowships to graduate students via email once a week and the job descriptions are posted on the Graduate History website announcements page. The department subscribes to The Chronicle of Higher Education, The History of Science Society Newsletter, and the American Historical Association Perspectives. These are all available for review in the graduate student lounge. Alumni of the graduate program in History are encouraged to remain in regular contact with departmental administration to ensure that our employment records and contact information remain accurate. Alumni may also be interested in participating in the Association of Princeton Graduate Alumni (APGA). Graduate alumni should register for a TigerNet alumni email address to ensure they can access the full range of services for alumni, including the departmental dossier service.